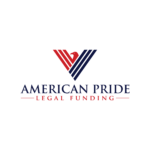 American Pride Funding can provide you with a lawsuit cash advance for a portion of your potential future settlement. A lawsuit cash advance and lawsuit loans are synonymous. You only repay your lawsuit cash advance if you win your case. Otherwise you owe nothing. With a traditional loan, you owe the bank or creditor no matter what. That is why a lawsuit loan is actually a lawsuit cash advance. And the term pre settlement funding is another way to describe advancing money against a potential settlement. We provide lawsuit loans on all types of personal injury cases. Call today for your lawsuit cash advance. How Long Until I Can Receive a Lawsuit Cash Advance? We can have cash in your hand within 24 hours of approval. We take care of everything. We work with your law firm and our lawyers evaluate your case. There are no upfront fees to apply and no monthly fees. We provide lawsuit cash advances on all types of personal injury cases. Personal injury cases are common and the most common type of a case is a car accident case. Other personal injury cases include medical malpractice cases, slip & fall cases, and product liability. We can potentially fund any type of personal injury case including construction accidents, labor law cases, and FELA cases. What Do You Need to Process My Pre Settlement Funding Request? First, we’ll reach out to your attorney and gather the relevant case documents. Once we have the essential case documents such as the police report in the case of a car accident lawsuit, we can have our underwriting team take a look at the case the same day. Depending on the complexity of the case, some additional documents may be necessary. Once the underwriting decision is made, and if your case is approved, you will sign a contract along with your attorney and once the completed contract is returned, we’ll send you your funds. How is the Underwriting Decision Made? Our lawyers look at the damages, coverage (insurance), medical liens, and liability. Liability is often determined by the police report when the case is a car accident claim. Also, to obtain a lawsuit cash advance, there needs to be insurance coverage. We can only fund cases that are against an insurance company, a government entity, or a well-known company. Finally, there has to be some sort of damage from the accident including bodily injury. This will determine your case value and consequently the amount of money that you can receive in the form of an advance against your potential future settlement.